So after a crafty burger in the nearby Nook (only six quid and massive!) and corrupting poor Björn of Doonicans fame with his first Jägerbomb (and last, possibly!) we headed to the venue in time to catch Gaz supporting. It was a pretty short set all told but he was on predictably good form. A decent sized crowd had gathered and plenty of us were more than happy to bellow his lyrics back to him at the right moments which prompted that charming look of surprised delight he does when that happens. Because a little bit of moshing might have happened I’ve not been so good at keeping up with the Levellers set list in my head, but certainly it had an older feel to it – only Truth Is and Cholera Well were unleashed from anything later than Mouth to Mouth from my recollection in the latter part of the set. 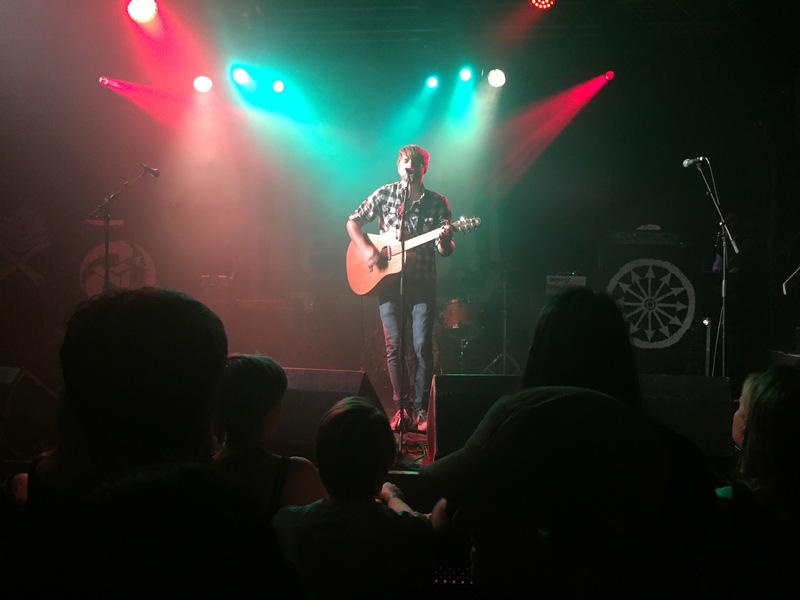 The highlight for me was Men-An-Tol as it’s such a beautiful song – although y’know, leaping around like an idiot to Sell Out, Fifteen Years etc etc is always good fun. I was pretty excited to hear them strike up Too Real only for Mark to forget the words part way through (just before the ‘La la’ verse too which would’ve been impossible to forget – haha! ), we had a verse repeat in another song that’s slipped my mind too. It was great to hear Dirty Davey get an airing too, as well as a bit of a didge-fest for This Garden and One Way. My random recollection of songs I heard in no way reflect the order in which they were played I should add. 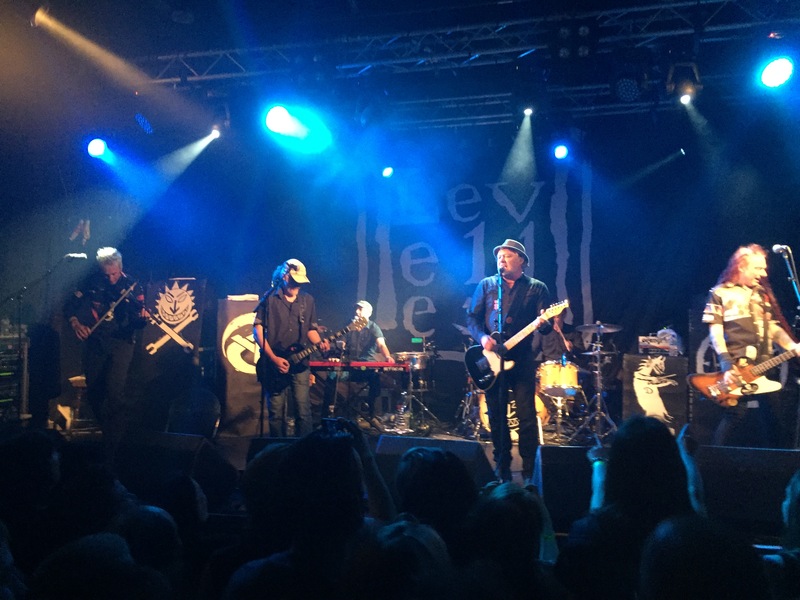 All in all, as ever the Levellers didn’t fail to entertain spectacularly. The venue was great, and the security relaxed about assorted towers being build – which probably spoils the fun for Kirsten somewhat, no games of chase with bouncers. Even Björn – surviving his jägerbomb experience – found himself atop a three-man tower I think during This Garden which was pretty epic to see. The only small downer being a random lady seeming to want to have a go at Linda for no apparent reason but that was soon quelled. A splendid evening – I’m only regretting not planning my life a bit better and not having to get up in a few hours to drive to bloody work. But never mind, it’s Friday and then it’s the weekend again, and that is always a good thing isn’t it?